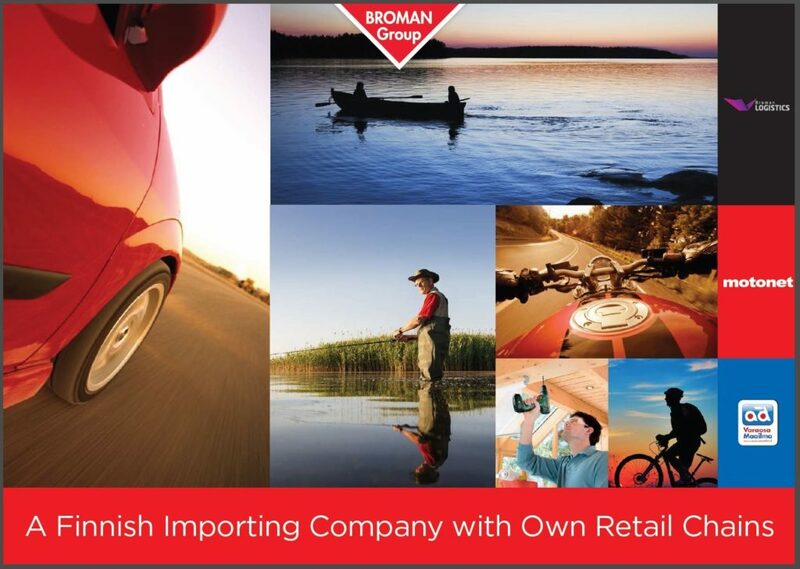 Broman Group Oy is a consolidated company that specializes in the sales of car and motorcycle spare parts and equipment, tools, boating and fishing equipment as well as domestic and leisure products. The origin of the Group dates back to 1965 when Väinö H. Broman founded a store selling motor cars and spare parts in Joensuu. Today, Broman Group employs over 1700 professionals and is one of the leaders in its business in Finland. It serves its clients through two nationwide chains of outlets Motonet and AD VaraosaMaailma. Broman Group founded Broman Logistics to function as an importer for the group. The logistics centres are situated near Helsinki. 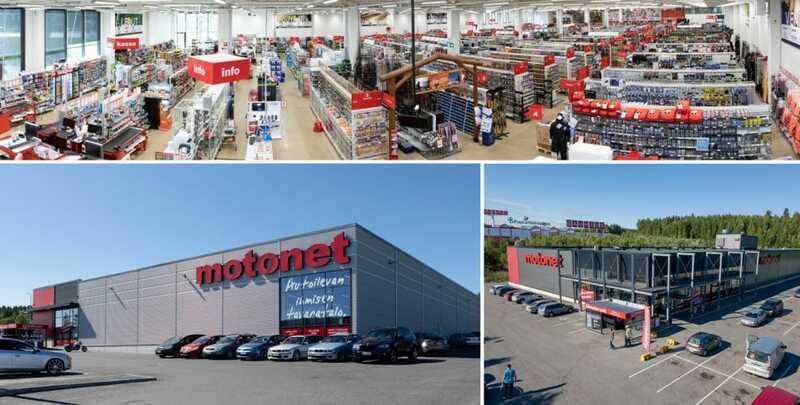 Motonet is a steadily growing store chain that specializes in the sale of auto parts and spare parts, tools, and leisure goods. In addition to motorists and bikers, the stores offer a large range of products to boaters, fishing enthusiasts, and home renovators. The quickly expanding store network extends all the way from the capital region to Rovaniemi in Lapland. Motonet also has an online store that serves customers all over Finland. 24-hour shopping from wherever you are is possible through the Motonet.fi online store. AD VaraosaMaailma stores are part of international AD-chain, which includes thousands of spare part stores and car repair shops in many countries. AD VaraosaMaailmas selection covers original spare parts, auto parts, and tools. Each store also has an adjacent AD car repair shop that offers professional repair and installation services. AD VaraosaMaailma is renowned for high quality and expertise, so is hardly surprising that professionals form a significant part of our clientele in both the repair shops and stores. Finntest is an importer of garage equipment. Finntest imports machinery and equipment and offers installation, training and maintenance services. Broman Group founded Broman Logistics in the year 2010 to function as an importer for the group. We have two logistics centres which have 63 000 sqm of storage space and capability to store over 100 000 pallets. The logistics centres are situated in Kerava and in Hyvinkää (both near Helsinki). Broman Logistics employs over 100 professionals. Both logistic centres are very efficient. Overnight shipments, approx. 60 delivery addresses, are made daily to all Motonet and AD VaraosaMaailma stores and other independent AD wholesalers. 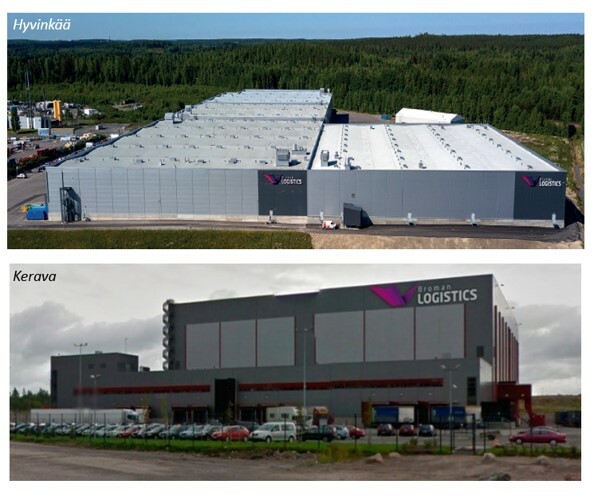 The Kerava logistic center has a lot of automation and it will be developed even more to fulfill all need to fast deliveries to our customers.